Announcing the HerStories Project Writing Contest Winners… and a Book Cover Reveal! 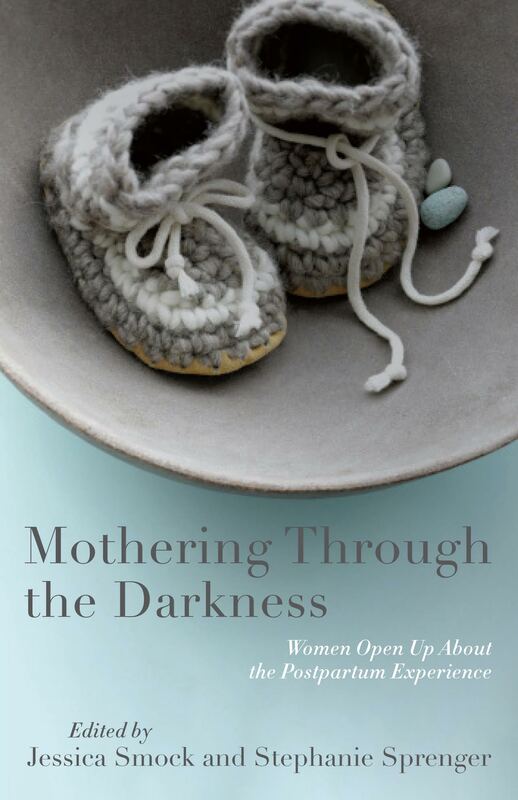 More than six months ago, we put out a call for submissions for our next book, Mothering Through the Darkness: Women Open Up About the Postpartum Experience, to be published by She Writes Press in November 2015. We also announced that we would be sponsoring a writing contest, associated with the book, to be judged by a panel of several of our favorite writers, women who also experienced postpartum struggles of their own: novelist Julia Fierro (author of one of the most anticipated novels of last year, Cutting Teeth), journalist and author Lisa Belkin, author Kate Hopper, author Katrina Alcorn (author of Maxed Out: American Moms on the Brink ), writer and clinical psychologist Dr. Jessica Zucker, and blogger and writer Lindsey Mead. We knew we would receive powerful stories of women’s experiences with postpartum depression and other mental health struggles. But we were completely unprepared for how many beautiful essays we would receive (more than 200) and by the inspiration and pain in these stories. We were, in a word, overwhelmed. And we knew our judges had their work cut out for them. We assembled a selection of finalist essays. We heard right away from the judges about how difficult it was to choose just a few essays because they were all so brave, so important, and so powerful. I love the simplicity of the language here, which, along with the matter-of-fact tone and episodic structure, inspires trust in the reader. I believed the honesty here. But the details are anything but simple–they are unique to the narrator and her experience (the figurative language- the apples!) and that made me feel as if I was allowed access into the intimate world of her love and pain and loss and joy. I can’t find the notebook. My husband threw it away, or I threw it away, or it threw itself away. With my son I wrote everything down: every feeding, what time he started, what time he finished, when he burped, when he spit up, what the spit up looked like, when he peed, when he pooped, what the poop looked like, when he cried, what his cry sounded like, when he slept, what position he slept in, when he woke. If I wrote everything down, I would see The Pattern. The Pattern That Would Make Him Happy. The Pattern That Would Make Him Sleep. The Pattern That Would Fix Him. The Pattern That Would Fix Me. Maggie is an accomplished poet, but, amazingly, this is her first personal essay. Maggie Smith’s second book of poems, The Well Speaks of Its Own Poison (Tupelo Press, April 2015) was selected by Kimiko Hahn as the winner of the Dorset Prize. 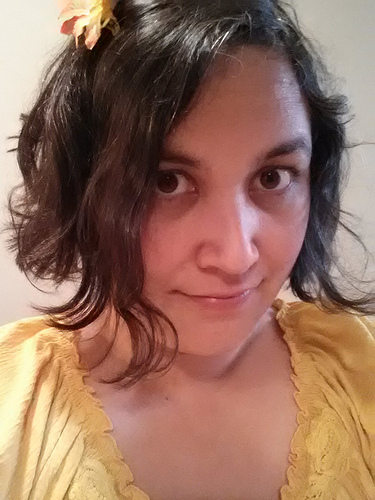 She is also the author of Lamp of the Body (Red Hen Press, 2005), winner of the Benjamin Saltman Poetry Award, and three prizewinning chapbooks, the latest of which is Disasterology (Dream Horse Press, forthcoming 2015). A 2011 National Endowment for the Arts Fellow in poetry, Maggie has also received four Individual Excellence Awards from the Ohio Arts Council and fellowships from the Sustainable Arts Foundation and the Virginia Center for the Creative Arts. She lives with her husband and two children in Bexley, Ohio, where she works as a freelance writer and editor. 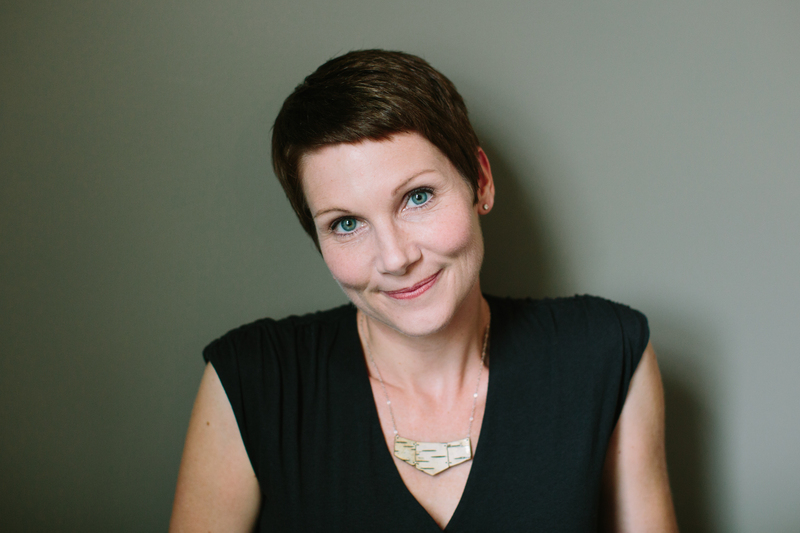 You can find her at her website, on Twitter @maggiesmithpoet, and on Facebook. Our second place essay is “Life With No Room” by Celeste McLean. Celeste Noelani McLean is the woman behind RunningNekkid, where she explores the intersection of grief, mental health, and her Pacific Islander ancestry. Her writing has been featured on Blog Her and has appeared in SisterWives Speak and Stigma Fighters. She left her island paradise home over twenty years ago and has been trying to figure out how to get back ever since. She currently lives in Seattle with her husband Ian, where they raise two children, grieve one, and make each other very, very happy. You can find her at her blog www.RunningNekkid.com or on Twitter @runningnekkid. This essay left me speechless from the very beginning. Poignant, poetic, earnest, soft. She does an exemplary job of taking us through her journey wrapping around and all the while gleaning cogent and complicated insights. Truly remarkable. I nurse the baby in front of my therapist and we talk about my second son, the one who died. About how much my new baby looks like him, and how much I want him back. I want both of my babies. But I also want none of my babies. I am tired of babies. Bone tired. I want to be dead.I want to be dead, and I admit to this in a way, and it is so embarrassing to admit this. But also, it is a relief. I have spoken these words and I have not died. I do not want to die any more than I wanted to die in that moment before I said it. And, miraculously, nobody came to take away my children. I want to be dead, but I also do not want to be dead. I want all of my babies and I want none of them. I am afraid of the baby waking. I am afraid of the baby not waking. I think the “arc” of the story shows the infinite varieties in even just a few years of a mother’s life. How things can go from “terrible” to “okay” to good” to “bad” to “great.” And how a mother can feel both love and regret simultaneously. I love that the essay allows the narrator to have some perspective, which gives the reader a hint of the light at the end of the tunnel, so to speak. 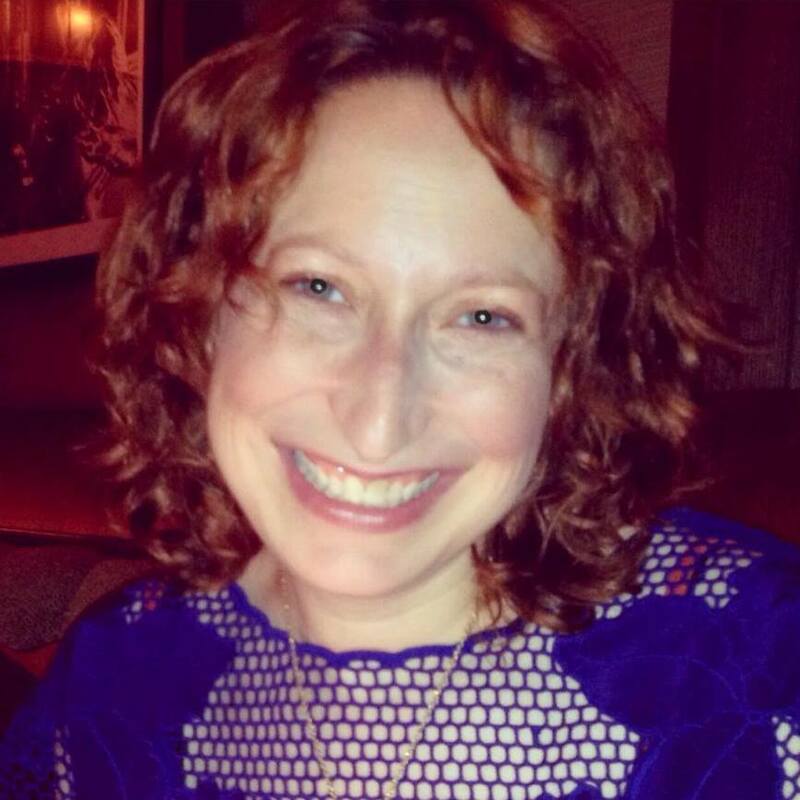 Jen Simon is a Huffington Post blogger and a Babble contributor. 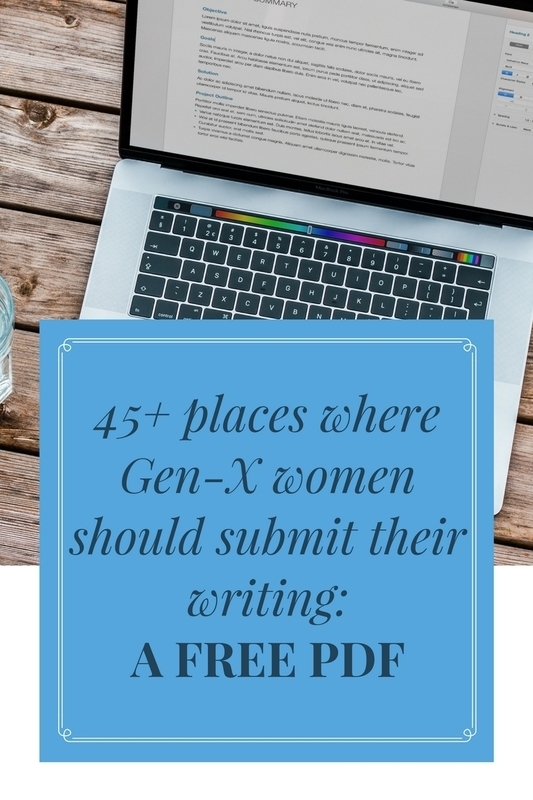 A freelance writer, her work has appeared on Scary Mommy, Elephant Journal, Your Tango, The Frisky, Kveller, Nerve, Women’s Health Online, and more. Mothering Through The Darkness is her fourth anthology, her second with the HerStories Project. Jen stays home with her sons – a toddler and a sleep-challenged 5 year old. You can see more of her work at JenSimonWriter.com. Follow her on Facebook at www.facebook.com/jensimonwriter and on Twitter @NoSleepInBklyn. I’m not sure what to do with him, so I do all the things I think I’m supposed to do. I dress him as a miniature version of my friends in jeans and hoodies and socks that look like Vans. We go to playgrounds where I push him on swings. We go to baby music classes and sing silly songs. We go to baby gym classes where I grab him, kiss him all over until his laugh, his unmistakable all-consuming belly laugh, fills the room and the other moms and nannies give us approving smiles. Do you see me? I think, Am I doing this right? I tell myself I’ll just fake it until it feels right, but it never does. I recently stopped nursing, my broken body no longer producing milk, so I buy organic formula and feed it to my son in BPA, Phalate-free bottles. All of his food and my cleaning supplies boast that they are “organic” or “natural”or “green.” Maybe if I can do all the “right” things for him, I can start feeling the right way about him. But the truth is I don’t know how I’m supposed to feel about him because I don’t have feelings for anything. And no belly laughs or Plum Organic pouch or tambourine sing-a-long can fix that. Every day, I kiss his smiling face while actively regretting having him. It is horrifying. I am simultaneously empty and brimming over with hate and anger. Every day is filled with these disparities. Thank you so much to every woman who submitted her story and to the judges who offered up their valuable time and insights. Stay tuned for the announcement of the rest of the contributors to the book later in the month…. Did you hear the news that My Other Ex: Women’s True Stories of Leaving and Losing Friends has been chosen as a Finalist for INDIEFAB Book of the Year? Have you joined our community of women writers on Facebook? Congratulations ladies! These look like incredible essays! Can’t wait to read the book. Congratulations to the winners! Their words are so beautiful and painful and true. I can’t wait to read the full essays. I also loved reading about what the judges thought about them. Congratulations, these stories look amazing! Can’t wait to read them all! These excerpts are so good I can’t wait to read the full essays! Congratulations on sharing your stories in such a beautiful way. Congratulations ladies! I can’t wait to read the rest of your powerful and honest stories. Can’t wait for this book to get published. This is so wonderful in so many ways. Such powerful writing. I tip my hat to each of these writers and those yet to be announced. Your stories will help so many. Incredible pieces of writing! Can’t wait to read them in full. Congratulations to the winners! And love the cover! Yay for the winners! Congrats ladies! Can’t wait to read more! Wow! Wonderful work, ladies, and such insight from the judges. I can’t wait to see the rest of these essays, and hear about the rest of the book. Congratulations! Congratulations to the winners. Loved reading the excerpts from their heartbreakingly beautiful stories. Congratulations to the winners! And LOVE the cover:)! Allie recently posted…Whatever Happened to My St. Patrick’s Day? Congrats to the winners – the few words we’ve read so far are beautiful. Can’t wait to read the full essays. Congrats to the winners here (beautiful writing). Looking forward to the rest of these essays and stories from other contributors. Love the cover! Congratulations ladies!! Such gorgeous work. I’m sure you will all help so many women know they are not alone. Congratulations!!! I am so happy to see such beautiful talent in this announcement!! I can’t wait to read their work in print 🙂 ! I can’t believe how moved I am by these brief excerpts! Congratulations to the winners! Your stories will surely help many others. Congrats to all of these beautiful writers! I can’t wait to read all the essays!